If you're a history, myths, and legends buff, and an enthusiast of music stirs the soul and bespoke of the battle cry of legendary heroes, this extraordinary show is definitely for you. Norwegian band Wardruna has recently announced a celebratory concert tour, taking them to different parts of Europe and the United States of America. 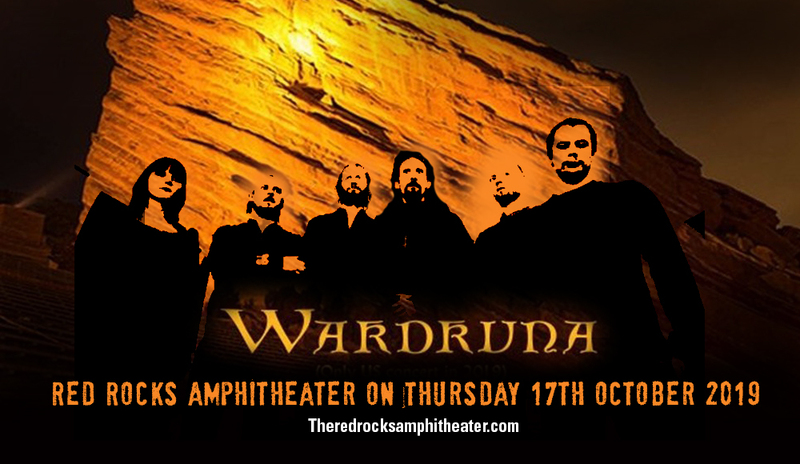 The Red Rocks Amphitheater will be one of the venues that will showcase their esoteric and traditionally inspired music. This concert will celebrate the 10th-anniversary release of their first album, and some new material never-before performed live. Get this rare concert experience. Book your tickets now! If you're an avid follower of Norse and Nordic legends depicted in Hollywood blockbuster films such as Thor Ragnarok and long-running tv series like History Channel's Vikings, then chances are, your soul has been stirred and your emotions struck by the lush sounds that hark back to the ancient poetry, culture, and traditions of Norse gods and heroes. The musicians or the band who took up the cudgels of bringing these ancient sounds and stories a new voice in this generation is Wardruna. Formed in 2003 by Einar Selvik along with Gaahl and Lindy Fay Hella, the band is known for going back to basics, so to speak. The recreate the sounds of old, by using primitive instruments and even elements of nature itself like primitive deer-hide frame drums, flutes, kraviklyr, tagelharpe, mouth harp, goat horn and lur. , the organic and the ethereal" with "runic-based rites inhabit[ing] a frequency that once heard has always seemed just adjacent to everyday consciousness". Wardruna was able to cover more ground and reach a wider audience with their involvement in the soundtrack of History Channels hit TV series 'The Vikings'. Their albums or shows may be few and far in between, but frontman Einar Selvik promises a more active and visible year for the band.